PASKAL shows off the skill of Malaysia's Special Forces -- but is it more than Malaysian propaganda? American filmmakers are spoilt for choice when it comes to inspiration for modern war movies, able to draw real-life stories from countless military (and CIA) interventions on almost every continent in the last century. It’s no surprise that the majority of military-inspired flicks are from America, and global audiences have grown accustomed to seeing US Navy SEALs romping around the world on screen. If you’re a filmmaker from Malaysia, you might have to look harder to find real-world inspiration: post-independence Malaysia has never fought a major war. For the movie PASKAL, writers looked towards more quiet operations executed by Malaysia’s eponymous special forces group, equivalent to America’s Navy SEALs. The most expensive Malaysian film ever made, PASKAL revolves around Arman Anwar (Hairul Azreen), a Lieutenant Commander in the Malaysian Navy. The film opens with Anwar leading an assault on a pirate-held Malaysian cargo ship — based on a similar operation undertaken by the Malaysian Navy in 2011. As the film progresses, we see scenes of the rigorous training PASKAL recruits undergo, and a flashback to Malaysia’s involvement in UN peacekeeping operations in Africa. Midway, the film moves into more personal territory — while comforting the widow of a fallen comrade and caring for his elderly mother, Anwar realizes his appetite for risk has changed and asks to transfer to a desk job. However, a former squadmate involved with a shady mercenary group forces Anwar to get back into the field. While PASKAL has some impressive fight scenes and laudable military realism, weak screenwriting makes the film stronger as propaganda for the Malaysian Navy than as a blockbuster action flick. It’s difficult to nail down the main story happening throughout the film. The first 40 minutes revolve around the heroics of Commander Anwar and the Malaysian Navy, contributing little to advancing any clear narrative. Even some of the action-packed scenes in these 40 minutes left us scratching our heads. While on a UN peacekeeping mission in Africa, Commander Anwar’s squad is ambushed by rebel fighters. However, the squad is completely unarmed — which seems illogical and unlikely for a team of soldiers in a war zone. While one can argue that Anwar’s struggle between serving his country and his family is a moving story, the film quickly glosses over this portion in favor of moving to more action when a mercenary group hijacks an oil rig. Anwar ditches his desk job and dons his combat gear, jumping out of an airplane to lead the assault on the hijackers. 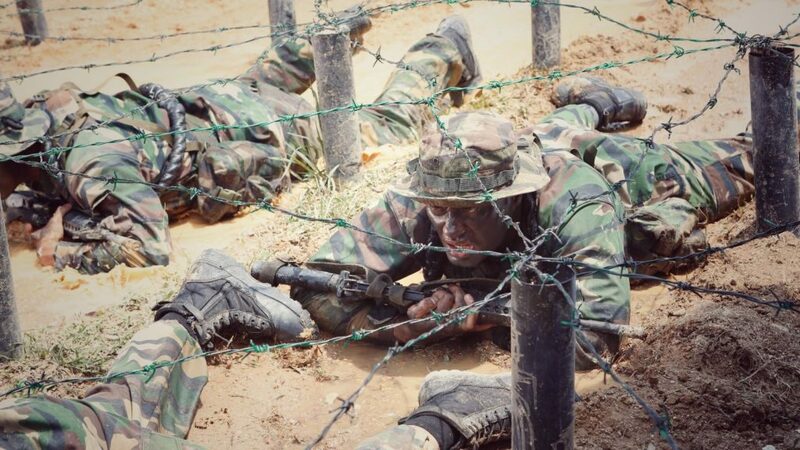 It appears that Director Adrian Teh was more focused on showing off Anwar’s skills as a Malaysian soldier, rather than Anwar’s struggles as an individual. The final scene of the film occurs at a war memorial, where a Malaysian Admiral gives Anwar a short speech about duty and sacrifice. Anwar remarks to the Admiral that “my country and my family are the same to me” — concluding lines that surely will stir patriotic sentiments among Malaysian viewers. 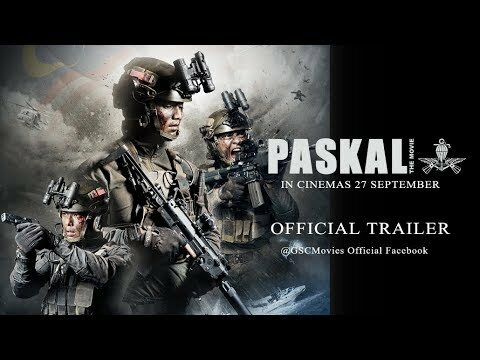 Perhaps a rousing patriotic film is exactly what Malaysians need right now — coming off the heels of a contentious election and a government scandal, PASKAL can be a movie that unites Malaysians in love for their country. It remains to be seen how overseas audiences will respond to the film, however. PASKAL is available on Netflix. PASKAL—Malaysia. Directed by Adrian Teh. First released September 2018. Running time 100 mins. Starring Hairul Azreen, Ammar Alfian and Henley Hii.